In the past few decades the proliferation of computer equipment has simplified the method of creating fraudulent documents. Desktop publishing is making it easy to create counterfeit documents from letters of credit to forged checks. Documents that used to require expensive equipment to create can now be done on a personal computer with a scanner and a laser printer in a relatively short period of time. What used to be available to only a few skilled and unscrupulous people is now within the price range of many without the need for special skills. The reduction in the cost of modern equipment puts counterfeiting in the range of many would-be swindlers. For example, banks, many businesses and government agencies are using magnetic routing numbers to sort their business forms but magnetic ink printers are now obsolete. Anyone can use magnetic ink for his or her regular printer. The personal computer is a powerful publishing tool when coupled with the right software and a high resolution printer. It can store logos as well as type in all sizes and styles. With bank safety paper purchased at a stationery store, anyone can copy a plausible check with a little practice. Software consisting of a word processing system and a graphics package such as Adobe PhotoShop makes desk top forgery available to anyone who chooses to commit fraud. Check-printing software programs designed to make it easier for businesses to print their own checks are readily obtained by crooks too. What can be created on a modern home computer system? Business records, letters of recommendation, expense account receipts, diplomas, and phony letterheads used in business transactions are a cinch for modern day counterfeiters. Bank records including cashier's checks, certified checks, letters of credit and similar financial instruments are easily falsified. Other documents such as property records, insurance claims, passports, birth records and college transcripts are subject to counterfeiting. Many companies are printing their business documents, including checks, on computers using check kits that include software and safety paper. Genuine documents cannot be distinguished from spurious ones when the same method is being used to create both kinds of documents. Perpetrators will scan complete documents into their computers, which are then altered to benefit the scam artist. In other cases they are scanning signatures onto contracts obligating the victim to large amounts of money. Since the perpetrator is using an original genuine signature, the victim will recognize his signature. To the unaided eye, the signature appears to be an original penned signature. Magnification is needed to prove that it is not. Color photocopiers enable forgers to duplicate their handiwork or make multiple copies of legitimate financial documents. Colored copies can usually be identified by the different-colored dots under magnification although modern copiers are improving, making it difficult to differentiate an original from a copy. Businesses can take some measures to protect themselves from fraud but there are no foolproof methods. The Bureau of Engraving and Printing has introduced polyester threads in its bills to prevent color copiers from duplicating our paper money. While it may not be possible for companies to use this type of preventative measure, large companies may be able to order nonstandard safety paper and restrict the supplier's right to use that pattern elsewhere. Companies should purchase tamper-proof paper or special ink to prevent forgeries. Use offset-printed forms that are harder to duplicate than computer-generated forms. Buy papers with artificial watermarks that can be seen at an angle but cannot be copied by a scanner. Keep supplies and software in a secure environment so that employees do not have access to the equipment needed to perpetrate fraud. Have different people handle different responsibilities. Many people who steal are opportunists. If there are no checks and balances in place to prevent and detect fraud, employees are more likely to commit fraud against a company. Katherine Kppenhaver, a Board Certified Document Examiner, has been a document examiner for the past 25 years and has testified in court and deposition over 350 times. She has an international clientele. Her book, "Attorney's Guide to Document Examination," was published by Greenwood Press in 2002. Humana Press has recently released her latest book, Forensic Document Examination, Principles and Practice. 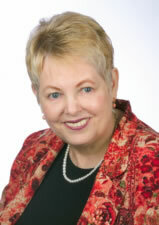 See Ms. Koppenhaver's Profile on Experts.com.